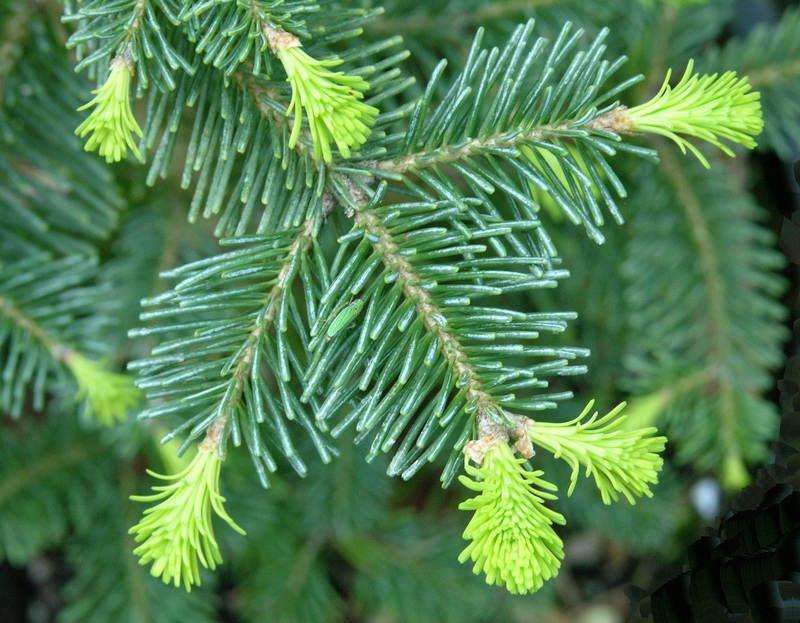 A beautiful, small evergreen tree, with delightful forms, this is the most widespread of the Abies genus. 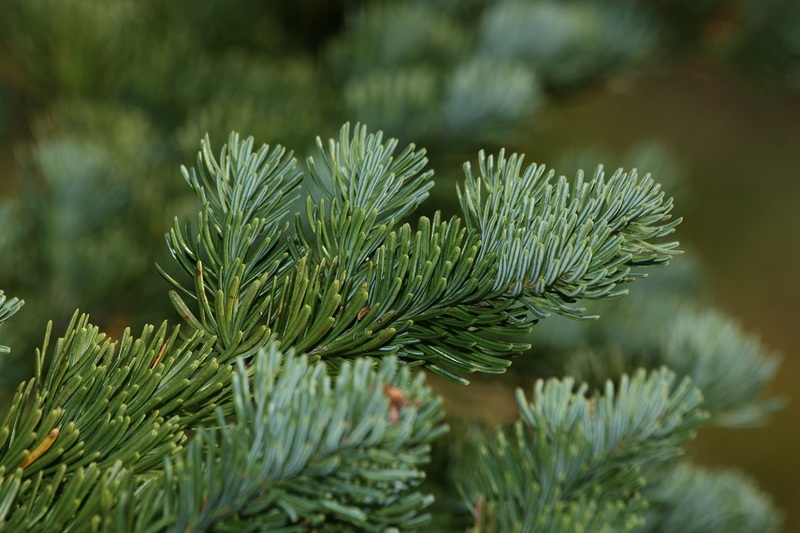 Whether your landscape style is modern or old-fashioned, formal or informal, or your own creative blend, the Subalpine Fir (Abies lasiocarpa) can be an important member of your plant family. 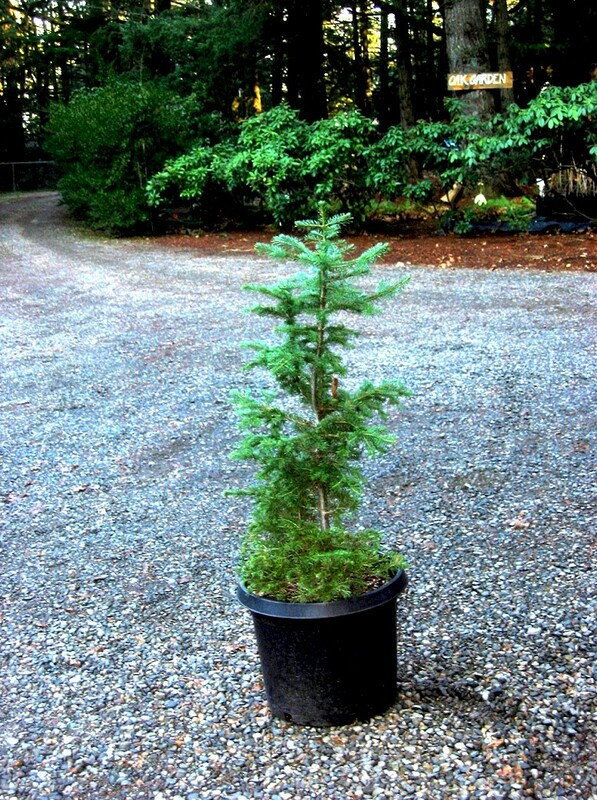 An outstanding ornamental, ideal for small gardens or containers, this cold resistant native is tall (usually 65 to 115 feet) and slender, but in the wild it can be stunted and hedge-like or even prostrate in wind-swept subalpine sites. Good in containers, we sometimes see a pair in beautiful pots flanking a door or planted in the ground as sentinels marking a driveway or walk. 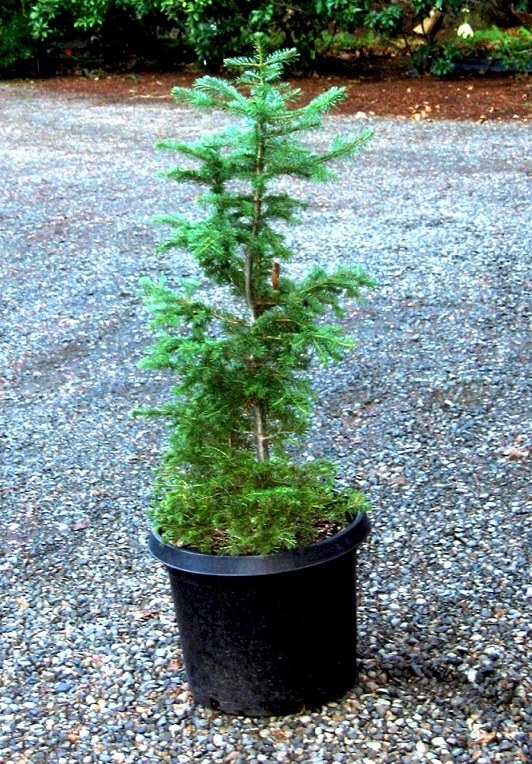 In less formal applications, the Subalpine Fir is an exclamation point among shrubs or small trees with rounder shapes. And it's hardiness is a natural for bonsai. 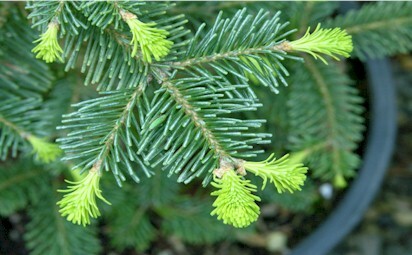 "Regardless of the great soils groups that occur in the subalpine zone of the west, subalpine fir is not exacting in its soil requirements. It is frequently found growing on soils that are too wet or too dry for its common associates. Good growth is made on lower slopes, alluvial floodplains, and glacial moraines; and at high elevations on well drained, fine- to medium-textured sand and silt loams that developed primarily from basalt, andesite, and shale. 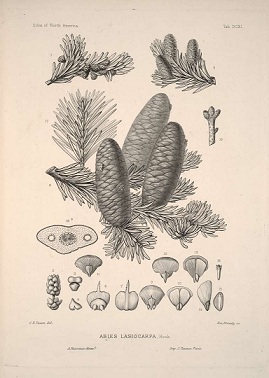 Growth is poor on shallow and coarse-textured soils developed from granitic and schistic rock, conglomerates, and coarse sandstones, and on saturated soils, but subalpine fir establishes on severe sites, such as lava beds, tallus slopes, and avalanche tracks, before any of its common associates." Found from the Yukon to New Mexico and west to the Pacific coast, this variety favors high elevations, cold climates and moist sites. Hardy USDA zones 2-9. 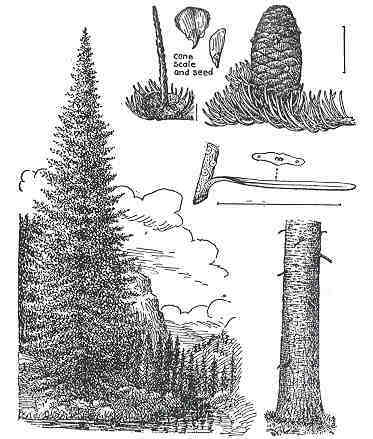 Trees grow slowly, reaching 80’ at maturity, with a narrow, conical shape and spiky, cathedral-like spires. 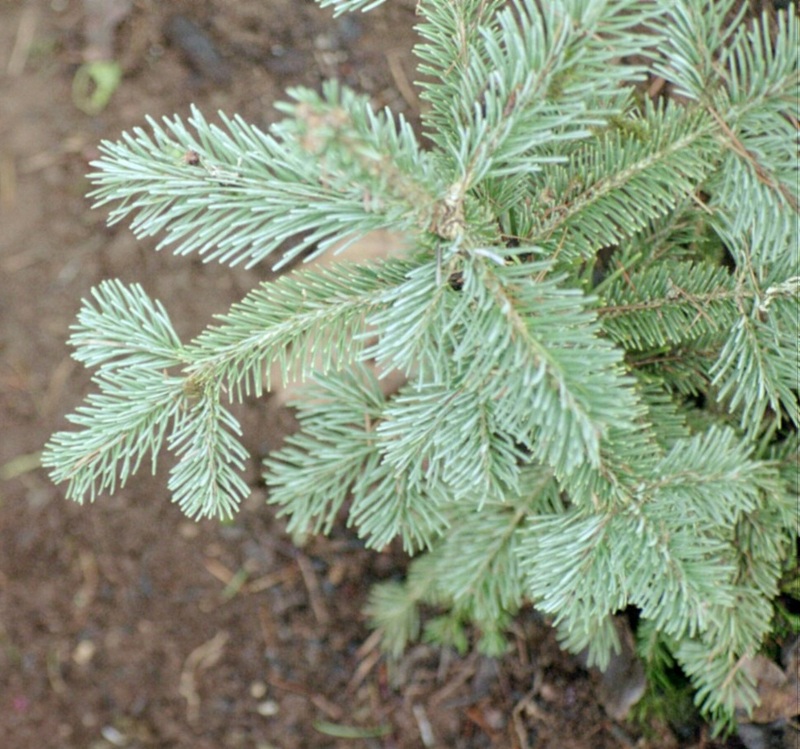 The 1½” needles are stiffly upturned and blue gray-green in color. Perfect for small gardens and mitigation projects, the Sub-Alpine is a natural pioneer in disturbed areas and prevents erosion. When heavily laden with snow (a common winter occurrence in much of its range) the lowest branches often touch the ground and by spring, will have grown roots!